Our Resort is the gateway to the Margaret River, located along the spectacular Geographe Bay, and only a 2.5 hour drive south from Perth International and Domestic Airports. We look forward to welcoming you! The Sebel Busselton offers a scenic, relaxed getaway for families and couples alike. 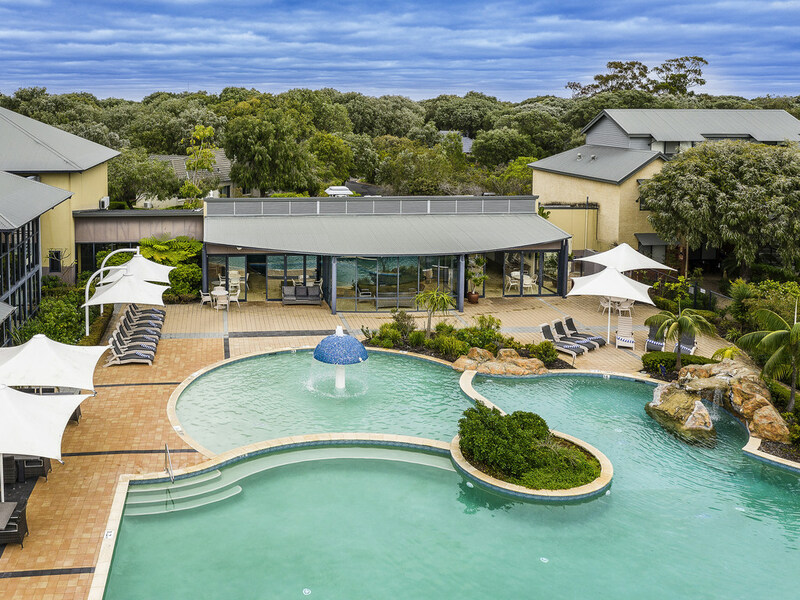 Positioned 2.5 hours south of Perth, the hotel is ideally located for guests wishing to enjoy the renowned wineries, restaurants and galleries of the Margaret River region and the swimming, snorkeling and diving opportunities in Geographe Bay. Along with modern self contained apartments, the hotel features a wide range of leisure facilities, from tennis courts to swimming pools. Surrounded by renowned wineries, restaurants and galleries of the Margaret River region and the swimming,snorkeling and diving opportunities at Geographe Bay. Vecka 1 i studio (nr 81) var dåligt köksutrustad. Vecka 2 i tvåbäddslägenhet (nr 32) upplevde vi som mycket bra!